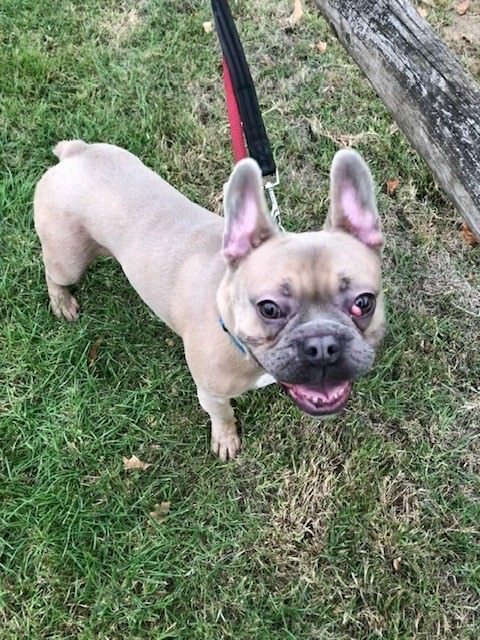 Meet Wilbur, an 18 month old French Bulldog, who came to us after being abandoned at a local vet (sadly we are seeing an increase of Frenchies with health issues being abandoned by owners or breeders when they cannot afford the bill). 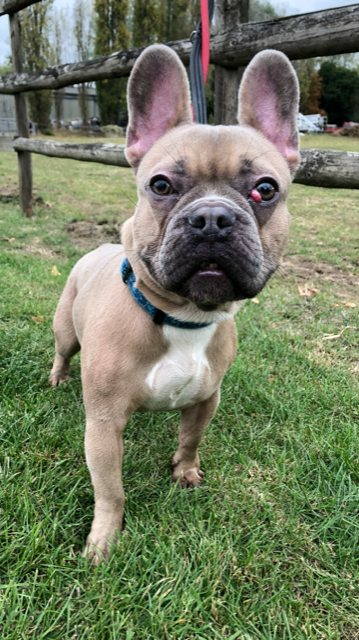 However, Wilbur is doing really well in a foster home but as you can see by the picture he does have a cherry eye which is due to be removed by us shortly (and is quite common in Frenchies). 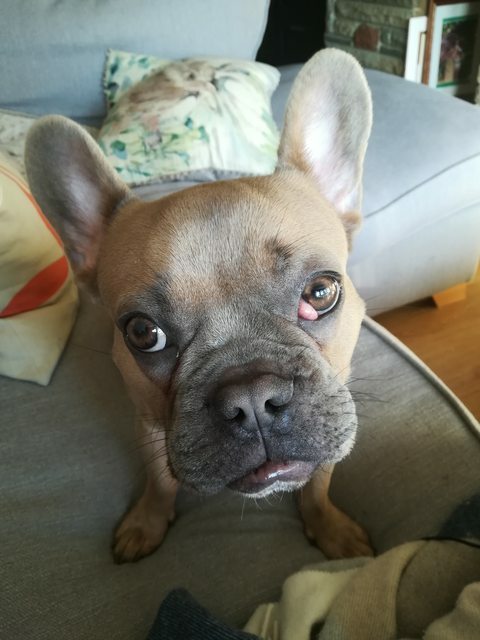 Unfortunately though, Wilbur also has a mild heart murmur for which he will probably need to stay on medication for, which is something that we can possibly help with. 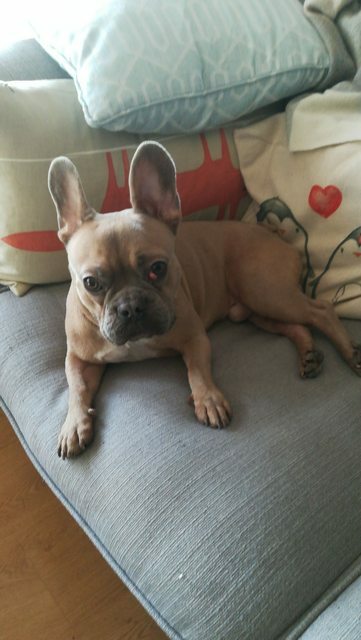 Wilbur is good with other dogs when out and about, so could possibly live with a calm female dog. If you feel that Wilbur could be a suitable match for you, please contact the office or fill in the rehoming form.